Recent vintages have mostly been an embarrassment of riches for Oregon’s winegrowers—in quantity as well as quality. One could also add that “richness” applies to the style of wines made in 2015, 2014 and 2012 as well. The ‘15 vintage, the main focus of this year’s report, is already commanding intense demand in the market and what ‘14s are still out there, including many of the late releases covered here, are also hot commodities. This being Pinot, there’s always some existential shade to be cast by a subset of the grape’s enthusiasts, depending on the style of the vintage. Pinot vintages seem to be viewed by many of the variety's fans in strictly binary fashion. 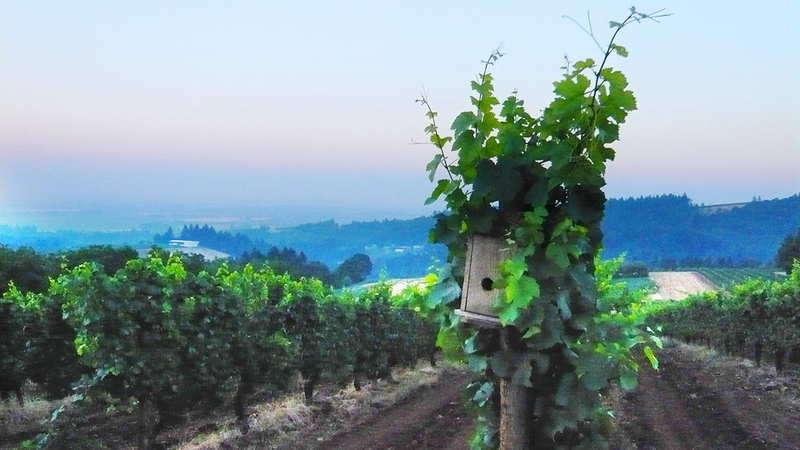 Those who favor ripeness and richness in their wines will likely love Oregon’s '15s and '14s. But partisans of leaner (some would say meaner), more taut (some would say hard), “classic” (some would say rainy and cold) years—more like 2013 and 2011—will probably be unimpressed or even turned off by ’15 and ‘14. Along with the 2012s (another vintage that resembles ’15 and ’14 in many respects), their thinking goes, the wines are too often too much of a good thing, showing too much ripeness, too little acidity, a lack of definition, excess weight and dark—or even cooked—fruit character. To be sure, a number of ‘15s and ‘14s, especially ‘14s, veer dangerously in that direction and away from the brighter Pinot Noir aromatic and flavor spectrum. However, viewing the vintages from an overall perspective, I’m hard-pressed to call either vintage (and 2012, for that matter) anything short of exceptional, especially for those who prize the exuberant fruitiness for which Oregon Pinots are known. How Did The 2015s Stay So Fresh? On paper, the 2015s should be deeper and richer than the 2014s. Thanks to a stable mass of warm water off the Oregon coast, conditions remained warm and dry from winter through spring, with budbreak and flowering occurring about two weeks ahead of schedule. The summer that followed was exceptionally warm, while harvest mostly took place during the second half of September. That said, my extensive tastings of ‘15s so far (a handful of producers opt to release their wines on the late side—as the number of 2014s in this report attest) revealed quite the opposite of what I would expect from a hot vintage. Most ‘15s are more likely to show red fruit and floral character than the darker, deeper qualities exhibited by the majority of ‘14s, especially at this point when the young wines can be sampled side-by-side. How is that possible? Among the likely explanations was well-timed on-and-off rain in August, especially at the end of the month. Another was unusually cool conditions in September. Both of these circumstances helped to preserve acidity in the grapes and, I suspect, contributed to a brighter aromatic and flavor profile than one might expect simply by looking at the accumulated heat units of the growing season. In addition to the newly released 2014s that I tried this past fall and early winter I had the chance to retaste a number of ‘14s that I reviewed last year. Some appear to be in the process of shutting down already and, as a group, they are definitely showing the heft of the vintage, even more than they did on release. The fruit has often taken a darker turn, not so much to plummy—much less cooked—but definitely into the cherry and blue fruit spectrum. They’re also showing more structure than I noticed last year, leading me to believe that these are wines for cellaring, a view shared by a number of producers I tasted with in late summer. I can see those who prefer their Pinots on the crackling, nervy side being unmoved by many of the ‘14s at this stage, but I’m confident that many skeptics will be pleasantly surprised by how they turn out in another five or six years and probably well beyond that. Fans of larger-scaled, more powerful and more flamboyant Pinots should definitely be on the hunt for topnotch ‘14s, of which there are quite a few. I can’t think of any other Pinot-producing region, anywhere, that delivers such consistent bang for the Pinot buck, from entry-level bottlings up to limited-production examples that are raised with the pampering lavished on a Kobe steer. That’s particularly true if one is looking for wines that show abundant fruit and supple texture. While I’m a fan of many Burgundy producers’ basic Bourgogne bottlings, even the best examples, which can run into the $30-plus range these days, are often leaner than similarly priced—and even much less expensive—Oregon Pinots. I’d say that is even truer for most red wines from the Côte Chalonnaise. In the current price range of most Burgundy village bottlings, and the majority of regional bottlings from California’s North and Central Coasts for that matter, Oregon offers myriad choices of more expressive reserve and single-vineyard Pinots, as long as you know your producers. Simply put, in the $60-and-under range, Oregon is now the place for QPR in the high-quality Pinot game. Unfortunately, many of the best Oregon Pinots are made in pitifully small amounts, even by Burgundy standards. 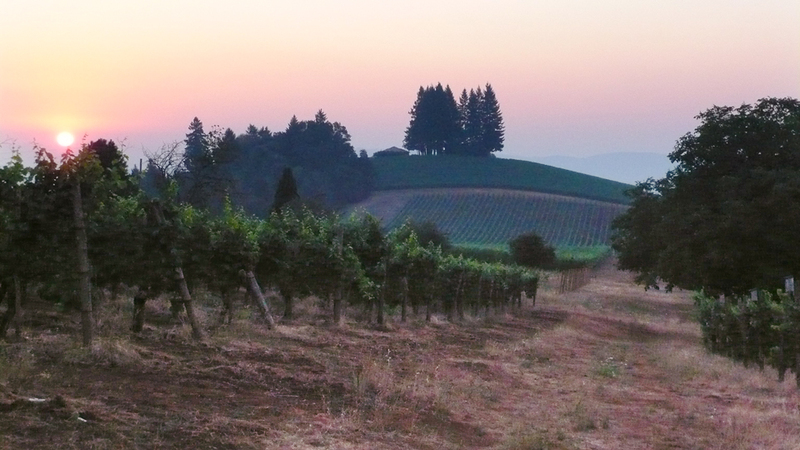 Although a handful of the state’s top-drawer wineries do make relatively large quantities of Pinot, there are also a huge number of Oregon wineries with artisanal, small-scale production. The answer to the challenge of finding micro-production wines is simple: go to the source. While American retailers are in the midst of very difficult times, shipping-wise, domestic wineries are not, and most Oregon producers, even the smallest ones, are set up to handle direct sales and shipping, through third parties if need be. I sampled a number of 2016 Pinots from barrel in August as well as some early-bottled wines that are included in this article. Once again, Oregon enjoyed a warm, problem-free growing season in 2016. The resulting wines, at this point, resemble the 2015s more than the 2014s, as they lean more toward red fruit and energy than depth and power. It’s still early days, though, and the vintage’s more important wines could very well put on weight and structure in their last months before bottling. I’ll have a clearer view of 2016 in late summer and early fall of this year. I tasted many of the wines in this article on estate visits in Oregon last August, followed by additional tastings in New York this fall and early winter. 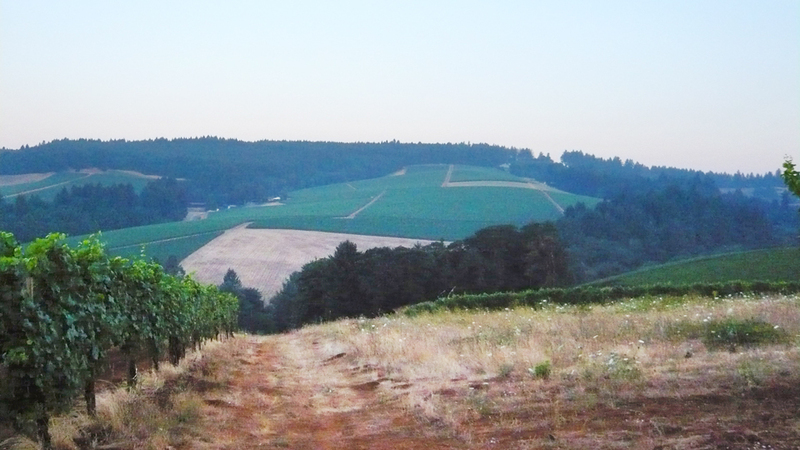 An article on additional (non-Pinot Noir) Oregon wines will be published in the near future.